Lebanon hosts the highest number of Syrian refugees of any country in the world relative to its population (4.3 million), with almost 1.1 million Syrian refugees (239,907 households) registered. The number could reach 1.5 million when Government and agencies’ estimates are taken into consideration. This social shift places a huge strain on Lebanon’s socio-economic fabric and infrastructure, especially as most refugees settle in some of the poorest areas – the Bekaa Valley and the North. Tensions between refugees and vulnerable nationals competing for the same resources and services have reached a breaking point. As the number of refugees in Lebanon continues to increase, the demand on basic public services like education, water, housing, electricity and child protection has reached an unsustainable level. Lebanon’s fragile infrastructure cannot cope with the on-going increase in population, especially in areas where the host communities are already poorly served. In addition, increased competition for jobs – which become ever scarcer during the winter months - is driving down wages while the rising costs of food and rent is increasing pressure on vulnerable host communities and refugees alike. 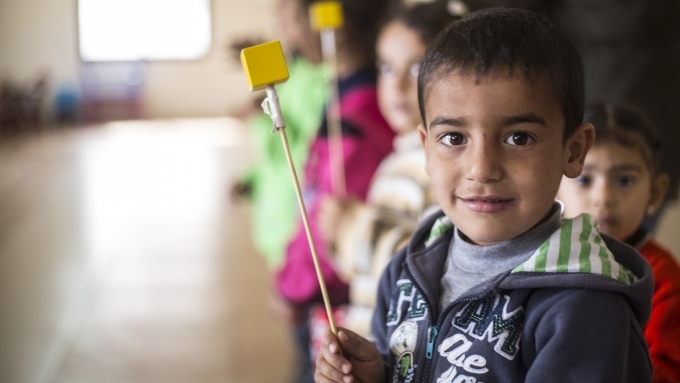 Save the Children’s Lebanon Country programme works to tackle these problems, providing support through its shelter, education, child protection and food security & livelihoods sectors. We work in the areas most affected by the crisis, including Bekaa and the Northern regions. We advocate nationally and internationally for support for refugee and host communities alike; we also ensure that children’s voices are being heard so that we can address the immediate problems they are facing, as well as provide long lasting support to help them fullfil their potential.